you don’t have to just put up with it! Find out what triggers your allergies by testing your individual allergic response to foods and environmental inhalants, simply with one blood test. Previously called RAST testing, IgE Allergy panels identify what triggers a response for you, allowing you to better manage your symptoms. Spring can be a time when pollen from flowering plants, a key trigger for the allergic response can cause hayfever with symptoms such as increased mucus, itchiness, watery eyes, sneezing, runny nose and congestion. Allergy and asthma control begins at home. 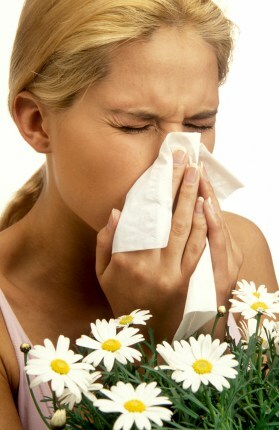 Many people with allergies stay indoors when outdoor air is full of pollen and spores. But dust mites, animal dander and even cockroaches can cause problems indoors. Once you have identified what triggers your response learning to manage symptoms is easier. See our tips on How to Reduce Indoor Allergens. There are also a number of herbs and nutrients that can help manage the symptoms and support long term immune health such as quercetin, Vitamin D, albizzia and perilla. These are available in tablet or liquid form through consultation. take natural remedies in the lead up to allergy season before symptoms start. eat a diet high in fresh fruit and vegetables, whole grains, nuts and seeds and choose fish as your main protein source, with smaller amounts of chicken, eggs and red meat. avoid sugar, refined carbohydrates and food additives. reduce exposure to the foods and inhalants that test positive in your IgE report. avoid exposure to triggers such as cigarette smoke, airborne pollutants, pollen and animal dander. use a sinus wash or netti pot to remove pollens and dust particles from the nasal passages. make sure your digestive system is health, free from toxicity and harmful bacteria. use probiotics to encourage healthy immune function if appropriate. drink 6 – 8 glasses of water a day, more if you exercise. be physically active, spend time with others, and have some fun.